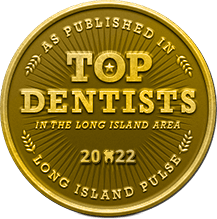 If you were to ask dentists all across New York the question, “Who is the best dental implant dentist on Long Island?” they would likely give you the same answer: Dr. Allan Mohr. 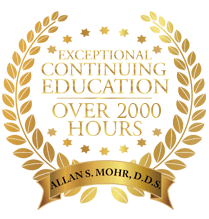 Dr. Mohr has over 35 years of experience restoring dental implants, and he continues to refine his skills every year with rigorous continuing education. 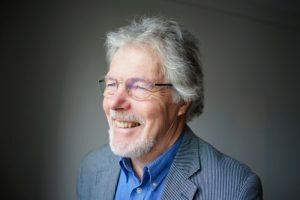 One of the most popular implant procedures he offers is called All-on-4, and with it, he can literally replace an entire row of missing teeth in just one simple appointment. How does it work? What is the procedure like? You’ll find answers to many of your All-on-4 questions below! All-on-4 is a procedure in which a full implant-retained denture is placed in a single appointment. Most other implant treatments require multiple visits, but All-on-4 can be completed in just one day. This makes it one of the fastest and most effective ways to replace an entire arch of missing/damaged teeth. It works by placing just four dental implants into the jawbone that act as prosthetic roots, and these are what help secure the new teeth. Regular implant dentures typically require six to eight posts, but All-on-4 uses special positioning to provide maximum strength with the least amount of implants. Two posts are located towards the front of the jaw where the bone is naturally thicker, and two more are placed on either side of the mouth at an angle to ensure strong bone retention. With just these four implants, Dr. Mohr can give a patient a comfortable, natural-looking denture they never have to worry about slipping and sliding around in their mouth, and this fit can be trusted to last much longer than a traditional denture as well. 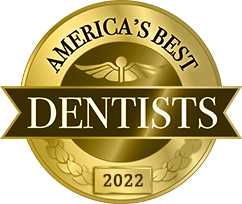 After undergoing a brief oral exam with Dr. Mohr and deciding that All-on-4 is the best solution for your missing teeth, he will refer you to one of his partnered specialists to actually place the implants. 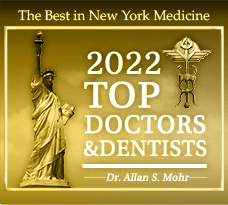 Over the decades, Dr. Mohr has cultivated what he calls a “dream team” of periodontists and oral surgeons. They not only do spectacular work, but they also make sure the experience of going between different offices is nice and seamless. They’ll basically feel like an extension of Dr. Mohr! After you’ve had your implants placed, Dr. Mohr will secure a denture to them using connectors call abutments. He can upgrade a patient’s current dentures to fit over implants if they are in good shape, or he can personally design a brand new prosthetic. Once the denture is in place, Dr. Mohr will do a few final checks before sending you on your way. What is Dr. Mohr’s experience? If you’re ready to enjoy your complete smile again and/or stop worrying about your ill-fitting denture, All-on-4 with Dr. Mohr may be exactly what you’ve been looking for. To learn more about the procedure and if it would be right for you, give Dr. Mohr a call today to schedule a consultation. by: allanmohr at August 1, 2018 .